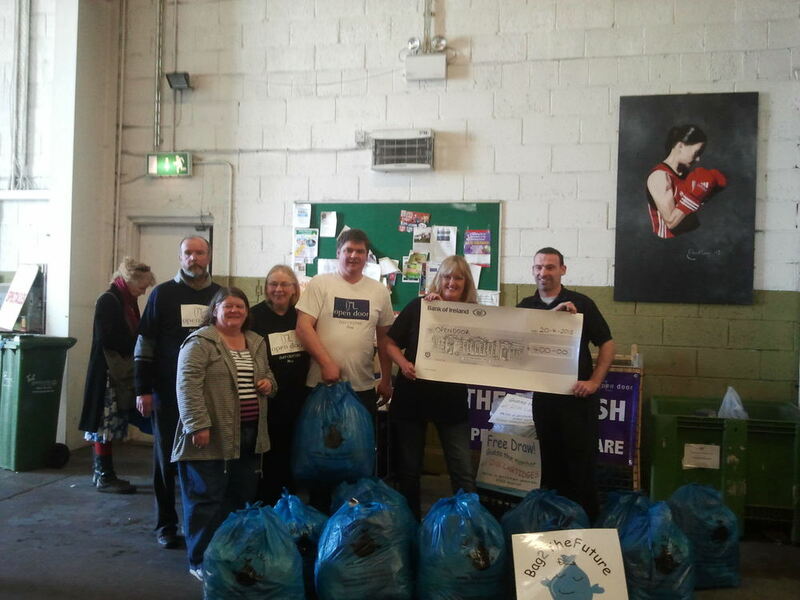 During February & March 2015, Open Door received the value of scrap metal and clothing dropped to Bray Recycling Centre, Boghall Road, Bray. This is the 3rd year to run this community event. As a follow-on from 'Trash to Treasure', Open Door now has a clothing bin situated to the side of Open Door on the Vevay Road in Bray. Please recycle your unwanted clothes, shoes and handbags to help raise much needed funds to support activities for adults with physical and sensory disabilities.